This delicious combination of chicken and green vegetables tops our beautifully colored and textured wild rice-quinoa blend. This blends combines two rice varieties with an ancient American grain, quinoa, that is also gluten-free and high in protein. 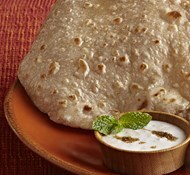 Place Royal International Authentics White Basmati, Wild Rice and Quinoa blend in a medium mixing bowl. Cover with water. Rinse rice to remove grit. 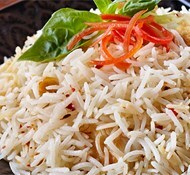 Drain rice well over a colander and place it in a pot to cook with 2 cups of water, butter and ¼ teaspoon salt. Cook covered, stirring occasionally, for 20 minutes. The rice should be tender and the quinoa cooked. Set aside covered. Meanwhile prep chicken and vegetables. Heat oil in a skillet and sauté the onion and garlic. Increase heat to high and sear chicken, about 45 seconds. Reduce the heat and add the artichoke hearts. Add wine or water. Cook covered for 15 minutes, stirring occasionally, until the chicken is tender. Check the salt and add more if needed. Sprinkle pepper over the dish. Stir in the asparagus and vinegar. Stir-fry the chicken and vegetables until the asparagus is cooked but still crunchy and the liquid has evaporated, 4-5 minutes. Add red chili flakes for a bit of heat. 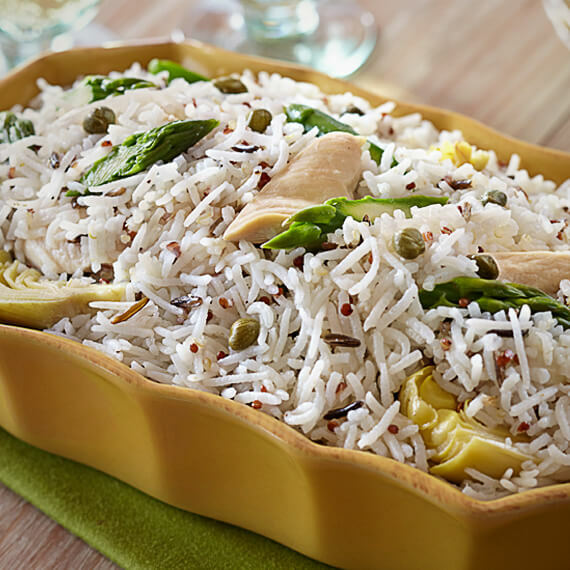 Serve the rice in a covered dish with the chicken sauté alongside, topped with capers.